TL:DR: The benefits of Smart Nation should extend to all segments of society, even those with disabilities. 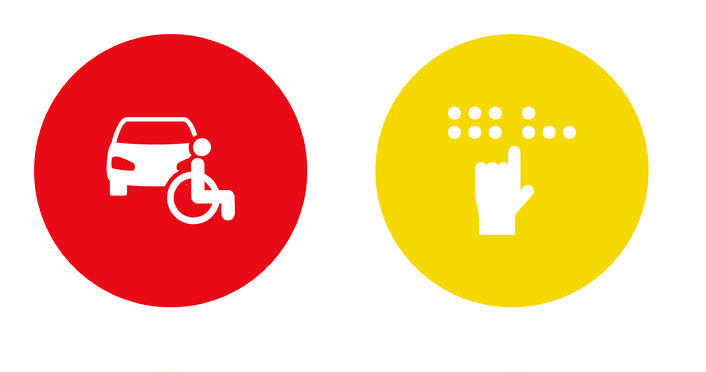 Technologies that assist in communication and mobility are highly valued by persons with disabilities. Digital applications and the Internet of Things developed for a Smart Nation can be adapted to improve the lives of those with disabilities. When the touch screen replaced the physical number pad on the mobile phone, imagine how it must have affected those with visual impairments, who rely on tactile feedback to dial up friends or send text messages. This is just one example of how technology can be alienating to persons with disabilities. In such cases, assistive technologies (AT) can go a long way towards helping persons with disabilities navigate an increasingly digital landscape. In Singapore, the Specialised Assistive Technology Centre (Specialised ATC), established and managed by SPD, a voluntary welfare organisation that helps people with disabilities, leverages AT to empower those with physical disadvantages to perform tasks at home and at work. For an inclusive Smart Nation that seeks to better the lives of all its citizens, finding ways to integrate AT into society is especially important. Read on to learn about five ways in which AT can help improve the lives of persons with disabilities. Communication lies at the heart of learning, and helps young people integrate into their social environment. Thus, children with speech impairments resulting from conditions such as cerebral palsy often feel lonely and frustrated when they are unable to express themselves. This only perpetuates the cycle of isolation and prevents their normal interaction with others. Where the human voice fails, writing and text-to-speech converters can help bridge the silence and facilitate the exchange of thoughts and ideas. These are known as augmentative and alternative communication (AAC) methods, and they can be embedded into devices that everyone uses daily, such as mobile phones or tablets. The TouchChat application on iPhones and iPads is an example of an AAC. It helps persons with speech impairments spell out and construct sentences by combining different symbols. A voice then reads out the message once it has been composed. Think of this as a translator or a spokesperson, helping to relay messages and broker conversations in an intuitive manner. Sometimes, diseases can strip a person of mobility as well as speech. For example, stroke survivors or patients who have motor neuron disease could be mentally aware but unable to communicate in any manner, apart from blinking and gazing with their eyes. With technology, these tiny movements are sufficient to open a window into an individual’s mind. Advanced eye tracking technology, where a camera monitors eye movement and uses those minute motions to control a computer cursor, can allow a person to ‘speak’ their mind with their eyes. Training their gaze on a virtual keyboard, users select letters, words or phrases by blinking or staring at their intended target for milliseconds longer. The sentences are then read aloud by an inbuilt voice assistant. Tan Tock Seng Hospital’s Help Me Speak initiative employs this technology to allow its patients to express discomfort, call for help in an emergency, hold conversations and even surf the internet. TheSpecialised ATC also loans eye tracking devices to patients who need them. Reading a newspaper is a simple task for people with normal vision. But for those with eye conditions such as cataracts or macular degeneration that result in low vision, making out words and sentences on a page or screen can be troublesome and frustrating. Devices and software that magnify and raise the contrast of text can help individuals with sight impediments read. Another solution to reading with low vision is to rely on another physical sense to interpret text. Screen readers such as Apple’s VoiceOver allows the user to hear a description of everything that is happening on their screens, including the battery level of their devices. Users can even adjust the speaking rate and pitch to suit their preferences. The Assistive Devices Centre run by the Singapore Association for the Visually Handicapped also offers a comprehensive range of devices for those with low vision, including lifestyle talking devices, refreshable braille displays and desktop or portable electronic magnifiers. Personal mobility devices such as bicycles and electronic scooters may generate buzz in terms of urban mobility in a Smart Nation, but for those who are unable to walk, the wheelchair is the most important personal mobility device of all. However, those with upper and lower limb limitations may struggle to use manual or even powered wheelchairs. Motorised wheelchairs with alternative interfaces are now available, allowing the user to control movement and direction with minimum pressure of the finger. Other mechanisms such as proximity switches do not even require touch—one simply needs to hover over a navigation panel to move the wheelchair. Changi Airport is also conducting a trial for smart wheelchairs, which incorporate obstacle detection sensors and electric motor control to help people with disabilities navigate the airport terminals. Airport staff need only press a button on the smart wheelchair to have it ‘recognise’ him or her. The semi-autonomous wheelchair will then follow behind the staff, who will bring the passenger on the wheelchair to the flight gate. Living independently is something many able-bodied people take for granted. Tasks as simple as switching off all the lights in the house before going to sleep can be difficult for a person with physical disability. This is where smart home technology, leveraging the Internet of Things, can help persons with disabilities live independently. With a tap of the finger on a mobile application, users can control home appliances and even create automated actions based on triggers such as time and sensor inputs. Some smart home systems also offer the option to customise, for example, an ‘away from home’ setting that remotely switches off all the lights and electrical appliances. Besides providing convenience, these IoT devices can also function as alarm systems for emergencies. Fall sensors, emergency call systems and motion detectors can ensure that family members and caregivers are informed of any urgent situations in real-time. Some of the ageing-in-place systems implemented in households with elderly may therefore be useful for those with disabilities as well.